The week my youngest son finished the last lesson of his school year was a bittersweet week for me. Our other seven kids had graduated from our homeschool, and now after 31 years of homeschooling, my last one had graduated. 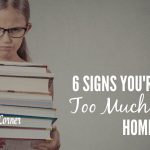 The reality hit me: I was no longer a homeschooling mom. I could sit down and tell you many, many things that I have learned over the years. 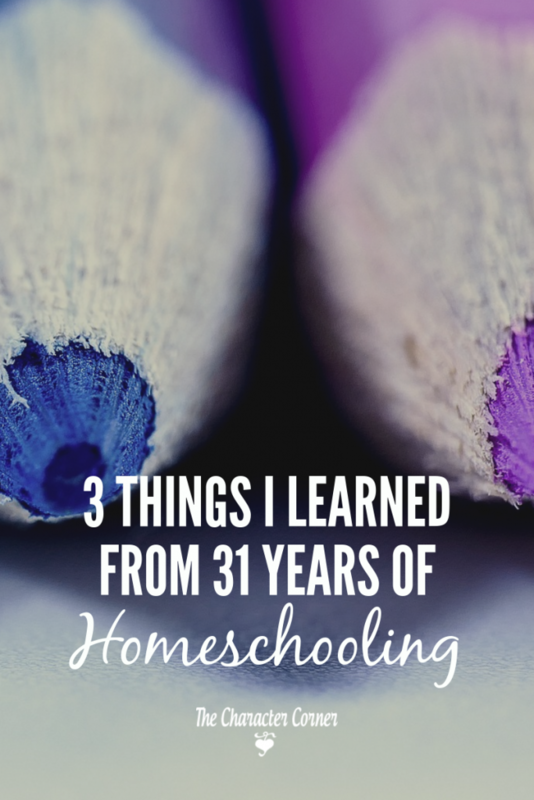 However, I’m going to narrow it down to the most important 3 things I learned from 31 years of homeschooling. 1. 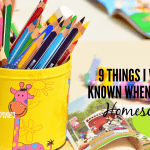 Homeschooling showed me my need for God on a DAILY basis. 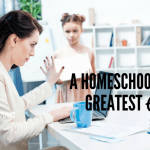 Before I started homeschooling, I was a determined and disciplined mom. When things were going well, I would often forget to depend on Him. Once I started to homeschool I realized right away that I could NEVER do it in my own strength. Parenting is hard enough, and something that requires wisdom from God. When you add homeschooling to that, the need becomes even more apparent. God used my kids and homeschooling to teach me to depend on Him. Each child was different and learned differently. Some days I felt I was failing. Other days I felt like I just COULDN’T do it. Then there were those days when I just wanted to quit! There were days of exhaustion, and interruptions to my plans. God met me in the midst of my weaknesses and struggles. His Word was my encouragement when I felt I couldn’t keep on. The most important thing I did as a homeschooling mom was spend time daily seeking God. By reading His Word and praying, I found wisdom and strength. I often found it hard to get ALONE with God, but found it was just as beneficial to spend time time reading God’s Word WITH the kids, and memorizing verses with them. Some days I didn’t get much time to spend “alone” with God. However, I quickly learned that it was just as beneficial and important to spend time reading God’s Word WITH the kids. Reading Scripture with them, and memorizing verses with them helped me keep my eyes on what God said was important. It also helped me to keep a right spirit. 2. Homeschooling was something that God used to mold MY character. As you know, I have a passion for encouraging parents to train their kids in Godly character. However, while I was in the midst of training my kids in character, God was busy molding and shaping MY character! 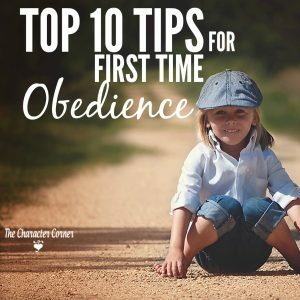 Within the first couple days of homeschooling, God showed me that I had some character issues to deal with like impatience, and inflexibility. He gave me a difficult child to teach me self-control which could only come from Him! I had to learn that I couldn’t be selfish, but had to be willing to give of myself, my time, and my energy to teach and train the kids as God wanted me to do. 3. 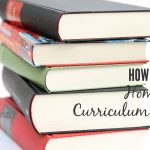 Homeschooling is more about winning the hearts of our children, than academics. Though it’s important to give our kids a good education academically, if we are going to have significant influence with them we need to win their hearts. When we have the hearts of our kids, we are able to pour into them the truths that God has given us and to impress His Word on their hearts. There is a spiritual battle raging in our children’s hearts daily, and as parents we cannot be complacent, hoping everything will turn out okay. 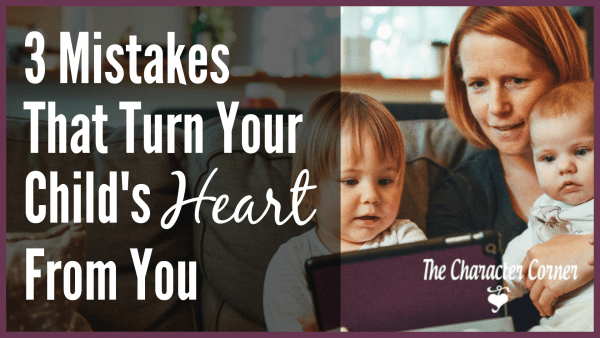 Winning the heart of our children is the most important thing we can do as parents. When we have a strong heart tie, we can then draw them closer to God’s heart. As you homeschool your kids, remember that the time you invest in teaching and training them for the Lord, is of ETERNAL value! 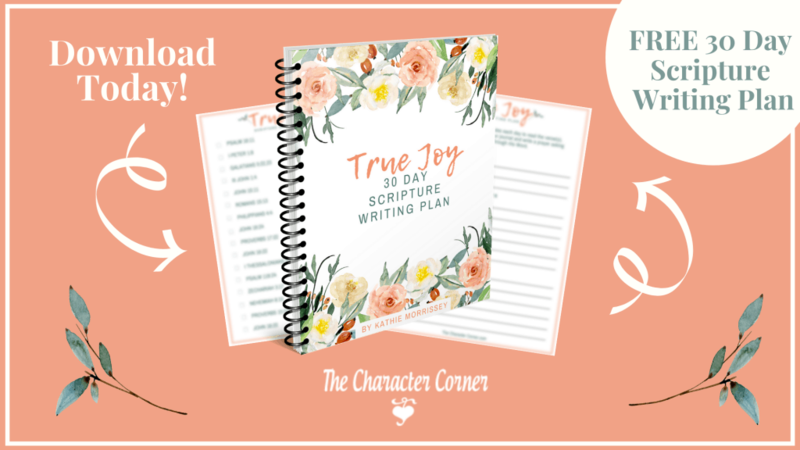 Get a PRINTABLE COPY of 20 Ways To Win Your Child’s Heart. Amazing what WE learn as moms, while teaching our kids, isn’t it?! Thanks for sharing. A timely reminder to me. God is good. The word… Eternal value…..
Priya, You’re welcome! So glad you enjoyed the post. Keeping an eternal perspective really does help, doesn’t it? A timely post for me to read. 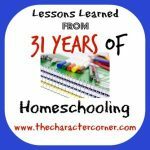 My character is in much need of some molding and I didn’t realize it until I started homeschooling my kids. Thank you for this post. God bless. I sit at my kitchen table, weeping, and at the end of my rope. Your post gives me encouragement and reassurance. Thank you for following Holy Spirit. My husband is a truck driver and gone for 4 days at a time and home for 3. I don’t have a mother or mother in law (we both come from TOXIC families), no sisters/brothers, and no friends (living as a stranger in the town we live in). I have tried to reach out to other mothers at church, but they have their cliques already established and no room for outsiders. I feel alone, although I know He said He would never leave or forsake us, it still FEELS like I am completely and utterly alone. I start my day with worship and Bible study and continue to do so ALL day. It’s the only reason I have ANY sanity at this point. As soon as I wake in the morning, I am just praying for the day to be OVER. I don’t want to be like this and feel my children deserve better, but I am BEYOND overwhelmed. Please keep me in prayer. I desperately need it. And, thank you for giving me hope. Congratulations on finishing that leg of the race God has given you! It must be a strange Monday to get up and be “done” with homeschooling all 8 of your children. God bless you in this new season.